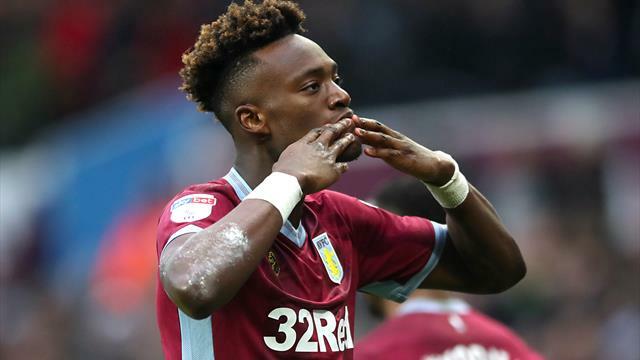 Chelsea striker Tammy Abraham has rejected a loan move to Premier League Wolves to remain at Championship side Aston Villa. Chelsea have the option to recall the player during the January transfer window or can opt to move him onto another club, according to reports. Wolves could attempt to go back for 21-year-old Abraham, who has won two England caps, but it is understood Abraham has stated his preference to stay to boost Villa's promotion bid for the rest of the campaign. Abraham has scored 16 goals this term and manager Dean Smith believes he would be served seeing out the season at Villa, who are 10th in the table, five points off the play-off places. "Unless they're a team in the top six, there's not many Premier League sides creating loads of chances," said Smith before their FA Cup third-round defeat to Swansea on Saturday.